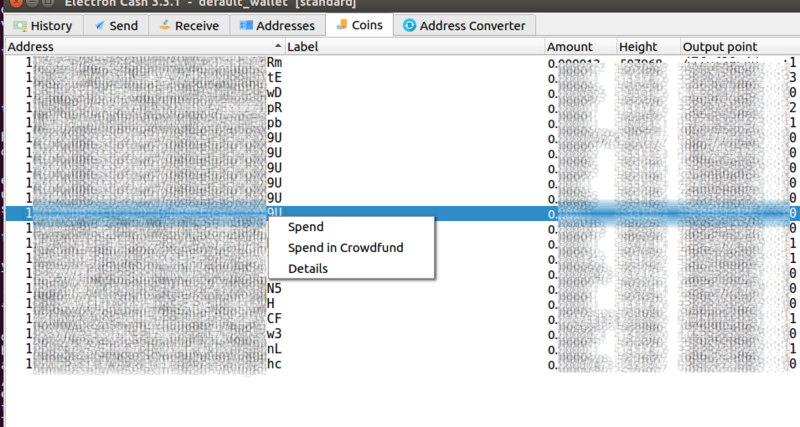 Last week, I developed a Proof-of-Concept crowdfunding module for the Electron Cash wallet. Here's what this is all about: Bitcoin gives you the ability to do a crowdfunding type transaction through the ALL|ANYONECANPAY Sighash flag. This means a bunch of different people can sign only their own input but for the same transaction output. 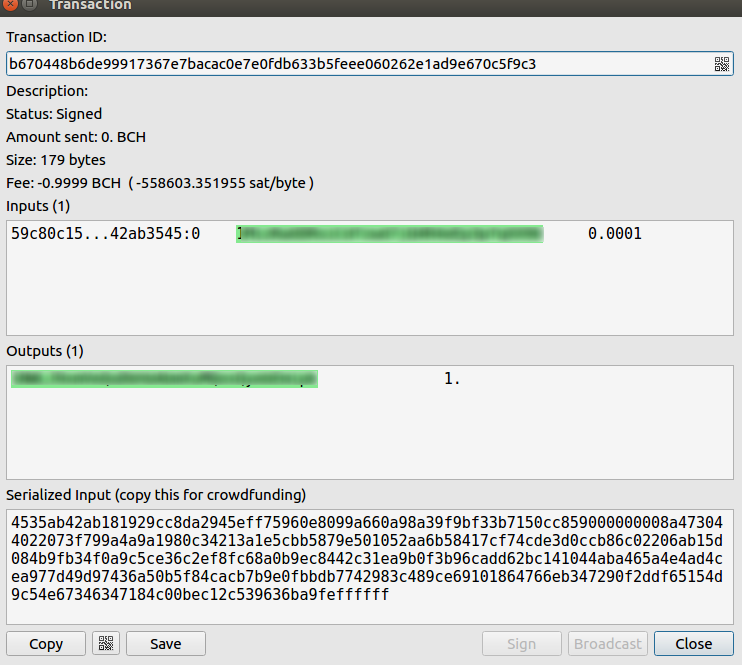 For example, lets say I want to fundraise 100 BCH for a project. Individuals can donate 1 BCH, 2 BCH, 0.4 BCH, whatever they wish. 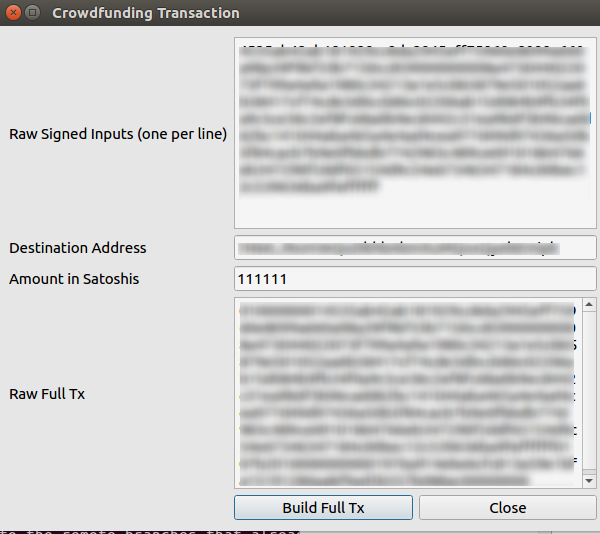 None of the inputs will be valid unless the entire 100 BCH is raised. There is the existing Lighthouse application which basically does this, but I'm unfamiliar with and I think most in the community are. 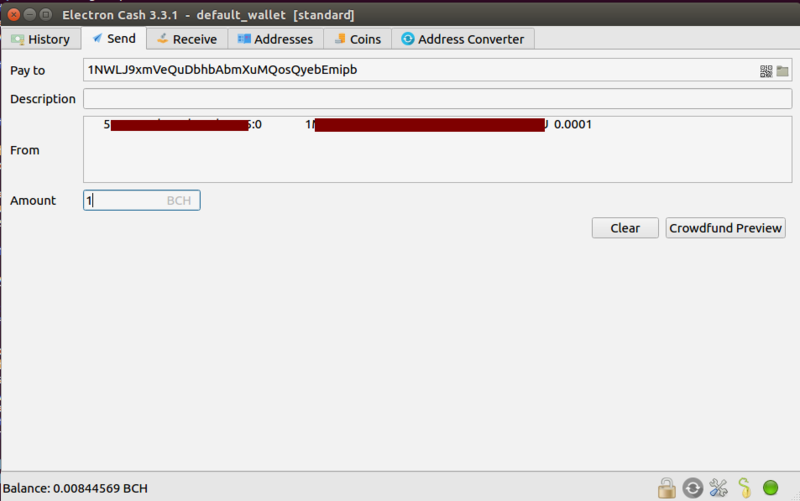 I thought it would be beneficial if we can have this kind of functionality from within the familiar Electron Cash wallet.